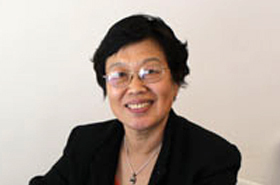 Dr. Lingqi Tang is a principal statistician who has been at the UCLA/NPI Health Services Research Center since 1998 and has worked on major center projects. She received her Ph.D. in Statistics and Applied Probability from the University of Alberta in 1992. Her interests include study design, finite population sampling, and analysis of incomplete data. She is highly skilled at advanced programming and has extensive knowledge and experience with implementing advanced statistical methods, including multiple imputation methods and hierarchical modeling. She has executed the development of numerous macros to facilitate analyses of Center data sets. Dr. Tang will co-lead the Biostatistics Design, Analysis, and Innovations Unit.